“Religion probably evolved as a way to cope with uncertainty, explain the unexplainable, control vast populations, and justify political agendas,” the professor’s voice fills the lecture hall. Glancing up from your notes, you see a black-and-white photo of burning huts fill the screens behind the podium. The slideshow continues as you twirl your pencil, uncertain what to write in your notebook. A parade of cat videos and political memes tumbles across your social media feed when a boldface headline screams for you to stop scrolling. New Discovery Casts Light on the Origins of Life. In a world fleeing ever further from the truth, how can you equip yourself to “continue in the things you have learned and been assured” are certain? Fortunately, a few practical, accessible tools can help you walk through any information that challenges your worldview, process each component, and handle any remaining questions without draining too much valuable time. After personally testing these tools during four years of secular university, I’ve witnessed their usefulness firsthand. They all come down to three rules of critical thinking: don’t panic, break it down, and follow up. An encrypted message I decoded for a first-year math assignment read “Truth fears no questions.” As you can discover by digging into apologetics, the field of study which investigates why a Christian worldview makes rational sense, numerous lines of evidence including science, history, philosophy and eyewitness testimony affirm that Scripture is true. So, when you hear information that makes you question those “things you have been assured of,” relax. This is no time to let your heart run out the door screaming that everything it knows must be wrong. Instead, wrestle down your heart and tell it to chill. Give it a paper bag. New information might shift your perspective, but it can never overturn the truth of God’s word. If a statement clearly contradicts what God has spoken, then it’s a lie. And on some level, all lies have to fall apart. As you’re taking notes in class, put quote marks around information that might contradict a Biblical worldview. This reminds you that you’re just noting what someone said, freeing you from feeling like you’re writing down a definite fact. Rule #2: Break it Down. Step 2: Check if the ‘facts’ really challenge your faith. 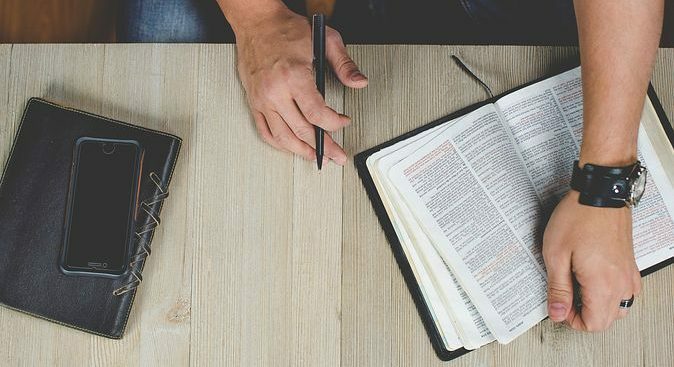 Sometimes, as you compare new information against Scripture, you realize that the information doesn’t challenge your faith so much as your ideas about your faith. Maybe it confronts your opinions about church traditions, religious practices, or worship styles, but doesn’t necessarily conflict with God’s word. Peter experienced something like this when he learned how God’s grace had extended to the Gentiles, overturning the belief that salvation required strict dietary practices (Acts 10). So, scour the Scriptures, consult mentors, and ask God whether your question concerns a negotiable interpretation or a non-negotiable doctrinal truth. If the information really does contradict something non-negotiable, proceed to Step 3. Step 3: Consider the information source. Sometimes, valid information comes from less-than-credible sources, and invalid information comes from credible sources. Still, a source’s credibility can lend solid insight into how seriously you should take what they’re saying. For example, information from an expert in a relevant field is naturally bound to be more valid than information from a hallucinating tabloid writer, or even from an expert in an irrelevant field. Remember, however, that even experts interact with the world through a lens of personal beliefs, past experiences, and multiple motives. We can try to communicate as objectively as possible, but no human is without bias. So, consider what worldview the source is filtering the information through, and question whether that source might have unspoken reasons—including financial, political, or other personal motives—for communicating it. Step 4: Define your terms. Most words have multiple connotations, carry different ideas in different contexts, or mean different things to different people. Some words, like person, life, love and evolution are prime examples. So, remember that the information source might be defining a word differently than you do. Watch out for key words with multiple meanings, clarify definitions to prevent miscommunication, and make sure that those definitions don’t change during the discussion. If you do notice that a word’s meaning subtly switches, you’ve detected a type of logical fallacy—a faulty way of reasoning—called equivocation or bait and switch. Step 5: Separate fact from propaganda. Religion is humanity’s most lethal weapon, and the most dangerous people are people of faith. This is the twenty-first century. No one follows the Bible’s teachings anymore. Teaching children that the Scriptures are true is nothing less than child abuse. No true scientist questions evolutionary human origins. Intelligent design is a whacked-out tea party movement. Sound familiar? These are messages I’ve encountered personally in my readings, classes and conversations–and they all make arguments based on something irrelevant to truth. Instead, they persuade through channels including emotion, eloquence, positive or negative associations, name-calling, and powerful psychological phenomena like humans’ need for acceptance and conformity. Large numbers of people seem to think so? People who are hypocrites think so? People may have a genetic predisposition to think so? The information is eloquently expressed? The message conjures up strong emotions like anger, joy, jealousy or fear? People who disagree are called names? Even the facts, however, are not always what they seem. That’s because objective facts, observations and measurements of the world around us are the building blocks for our theories about the broader story of reality. Unfortunately, our individual worldview, experiences, perspectives and biases often influence the way we fit those building blocks together, resulting in multiple possible explanations for the same observations. Take what happened to my family, for example. Early one Sunday morning, as I slumbered tranquilly behind a closed door, the rest of my family awoke to a horrendous stench saturating our house. My parents journeyed downstairs in a bleary quest to identify its source, only to find my brother one step ahead of them, already examining our aged dog. It wasn’t the dog. Looking around the room, my family wracked their collective brains to come up with an explanation—anything—to resolve the odious conundrum. “I think the fridge is broken,” my mom proposed. Sure enough, my mom had guessed right—sparing Norm from awakening to the inexplicable sight of my pajama-clad dad requesting him to cease his culinary endeavours. The moral of the story, besides the importance of proper refrigeration, is that the same facts can lead to vastly different explanations. From the same pool of evidence—a dastardly odor, a malfunction-prone appliance, and a hunter next door–my parents constructed unique stories based on different assumptions and interpretations. Identify the facts—the measurements, observations and raw data that everyone can agree on. Ask yourself whether the facts themselves might be lying thanks to a glitch like a mistaken measurement, faulty observation, small sample or biased survey. Identify the assumptions, interpretations, educated guesses, and other constructs that fill in for gaps in the facts. Beware of words like could, may, might and other signals indicating that this information is just a possible explanation, not a definite fact. Remember the information you learn in textbooks or online is not exhaustive. Likely, it’s the most polished presentation of the humanist side of the story. There’s probably another side you aren’t hearing. Look for alternative explanations. 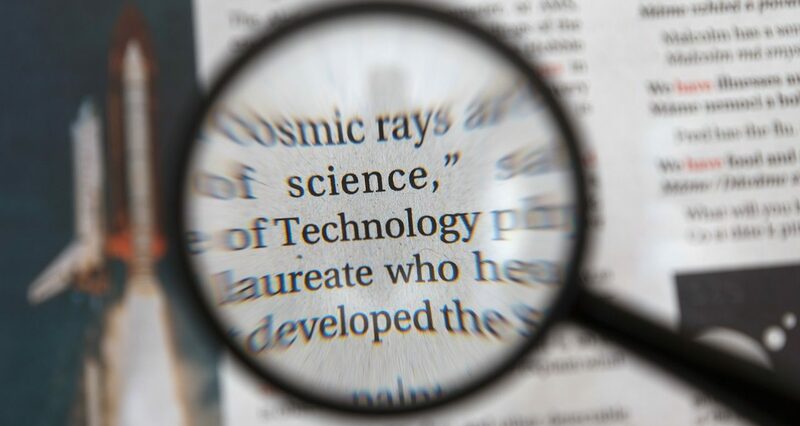 Ask, “Is there another way to look at the same facts and arrive at a different conclusion which makes at least as much sense?” Search apologetics websites to find alternative interpretations from a biblical perspective, or look up recent academic articles to find out if other researchers have written about the same topic from another angle. (See also, How to Find Great Research Online.) Checking for alternatives also helps you spot Either-Or fallacies, a type of faulty logic that presents only two options when other possibilities exist. You already know how to catch most logical fallacies by defining your terms, asking yourself why something sounds true, and checking for alternative explanations. But other, more elusive lines of sketchy logic might be lurking behind the facts as well. Three of the most common ones include inductive ‘proofs,’ straw man arguments, and faulty analogies. Remember how different people can examine the same facts–like a mysterious stench in the house–and reach separate conclusions? This is possible thanks to a type of logic called inductive reasoning. Inductive reasoning employs known details as puzzle pieces to construct a larger picture of reality. Deductive reasoning, on the other hand, takes a known, zoomed-out picture of reality and concludes smaller details from it. T-Rexes are dinosaurs (larger picture). Therefore, T-Rexes have toes (little detail). T-Rexes have toes (little detail). Therefore, T-Rexes are dinosaurs (larger picture). 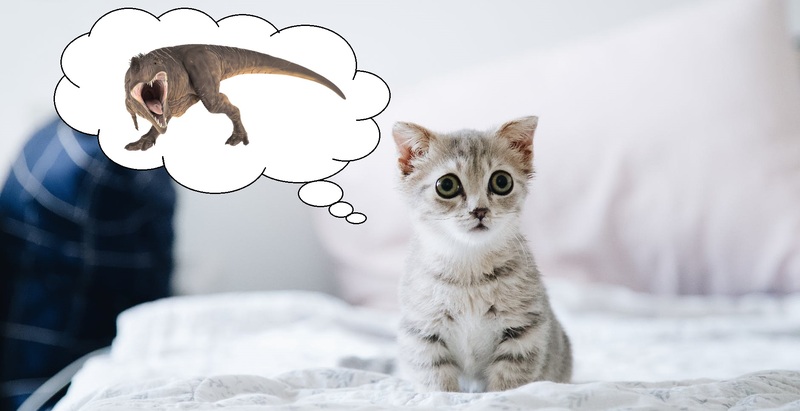 As cool as dino-kittens might be, the point is that inductive reasoning is logically fallacious. Inductive fields like science, therefore, are also logically fallacious. Sure, with enough details and data points, we can use the scientific method to reach a pretty reasonable conclusion. But we can’t necessarily prove that conclusion as being the absolute truth. That’s why one of the first things freshman science students learn is to never write prove in their lab reports—even if similar words often show up in media stories. Beyond spotting sketchy logic, identifying inductive reasoning also helps you find flawed theology. Often, false teachers take individual Bible verses (little details) out of context to inductively construct their own larger pictures of theology. This method of interpreting Scripture is called eisegesis. The more accurate way to interpret Scripture, instead, is to holistically consider God’s word as the big picture of truth, and to deduce smaller truths from that picture. That’s known as exegesis. But enough with the fancy vocab. Let’s talk about two other kinds of red-flag logic—straw man arguments and faulty analogies—before moving onto the last rule of critical thinking. Student #2: Ah, no thanks. I’m not into that. Student #1: Not into having fun? Figures. Prefering to keep your brain cells free from the effects of cannabis has nothing to do with lacking a fun-loving personality. But a verbal wand wave on the definition of fun, implying that a good time requires getting high, transforms Student #2’s opinion into the straw-thin perspective that fun is boring. To catch a straw man, then, simply bring back a discussion to what the speaker actually said. A final class of sketchy logic to beware of is faulty analogy. Through making memorable comparisons between two things, analogies pack weighty concepts into easy-to-understand illustrations that render arguments more persuasive, punchy and powerful. Jesus spoke in analogies all the time, comparing the kingdom of heaven to everything from a pearl to a mustard seed. But as potent as analogies can be, remember—they only illustrate. An analogy can never prove anything. Also, remember that like a punch is only as powerful as the bicep behind it, an argument by analogy is only as strong as that analogy. So, if you encounter an analogy that seems to attack a Biblical worldview, enter into the analogy and figure out its weaknesses. You might spot an important difference between the two things the analogy compares, or even turn the analogy around to enforce an alternative perspective. Just like the three men were really feeling the same elephant, different religions might seem to disagree—but they’re really describing the same God. Well, let’s think about it. 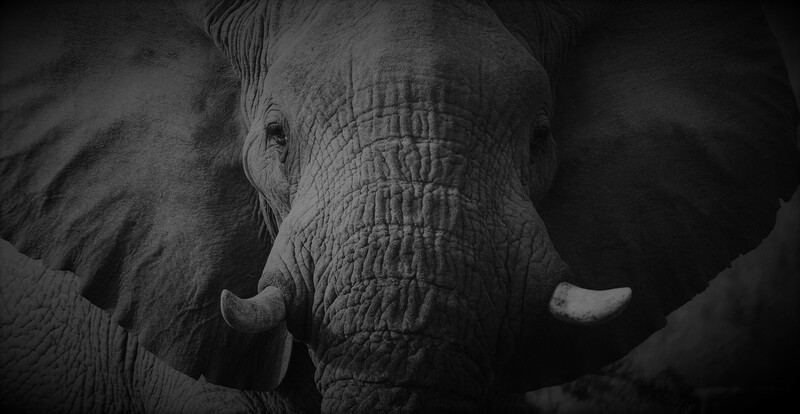 Different body parts can coexist on the same elephant, but can different—and extremely contradictory—religious statements about the nature of God, the universe, and human souls really coexist as truth within the same reality? If reality is logical, then probably not. Moreover, how would anyone talking about the three blind men know that they were all feeling the same elephant? That person would have to have open eyes. So, is anyone who claims that all religions are equal the only person who can see the grand scheme of reality, observing the form of truth which all other humans are merely groping to discover? Such a person would be God. And interestingly, God has revealed reality to us through His word, His creation, and His Son. Alright, time for a quick review. When you encounter information that seems to challenge a Christian worldview, first—don’t panic. Instead, break the information down by comparing it against scripture, asking how it challenges your beliefs, considering the source, defining your terms, and then separating facts, observations and sound logic from propaganda, interpretations and sketchy logic. While this system will help you filter enormous volumes of persuasive untruths from everything you hear and read, you’ll almost certainly still have some unresolved questions about your faith. Congratulations—you are now free to panic. These words encouraged me repeatedly throughout university, reminding me that the weight of evidence for my faith far surpassed the uncertainty of my unresolved questions. As humans, we’ll never understand everything. The key is to remember that God has the answer, to ask Him for it, and to trust Him with that answer even if He never reveals it to us. Unanswered questions can be a devious faith-killer, but the trouble doesn’t start when Christians begin asking questions. It starts when we stop seeking answers. So, next time you encounter a ‘fact’ that seems to challenge your faith, remember the rules of critical thinking. Don’t panic. Break it down. Follow up on any remaining questions. If you like, you can test this toolkit right now by revisiting the scenarios at the beginning of this tutorial. I encourage you to keep applying these tools, flexing your mental muscles until biblical, critical thinking becomes second nature. Then, whether you’re sitting in class, scrolling media feeds, or listening to a sermon, you’ll be far better equipped to wrangle whatever lies may come leaping your way.